Neewer Photo Studio Equipment Trolley Carry Bag 38"x15"x11"/96x39x29cm with Straps Padded Compartment Wheel, Handle for Light Stand, Tripod, Strobe Light, Umbrella, Photo Studio and Other Accessories Features Enough room provided for you to transport and store your photography equipment. Size: 37.8"x15.2"x11.4"/96x38.5x29cm. Plastic base plate is stronger and not easy to become damp and mildewed. Max load is up to 50kg Large size to fit your lighting studio photography equipment. Both lights and tripods. Brand new, unused item. Free postage- 2nd Class signed for. It is designed for handheld use or tripod application. It has a unique eyepiece opening adapts to most viewfinders for viewing through the lens. There are two Rainsleeves included. Designed for handheld use or tripod application. Made for urban environments, the Slingshot Edge 150 AW is designed to keep your powerful and compact mirrorless kit within quick reach. And your go-to mini-tablet, smartphone, headphones, wallet and other essentials well organized. ---Fits Mirrorless cameras with extra lens plus a small tablet ---Room for personal gear such as compact tripod, headphones etc. ---Travel easy with a slim design, padded backpad & stability strap ---Sling includes two removable straps with quick-release buckles ---Fast-access side zipper path so you can capture a shot in moments FITS - Mirrorless camera with attached lens (such as 40-150mm f/4.0-5.6) - Extra lens - Small tablet (such as iPad mini) - Personal gear such as compact tripod, headlphones, smartphone, keys, wallet, sunglasses and small accessories External Dimensions 24.3 x 15.5 x 38. The contents of the bag are protected from weather by the large cover flap, which closes with a sturdy, quick-release buckle. On top of the flap is a zippered, accessory pocket for stashing a cellphone, keys and wallet. Protect your Canon Nikon or Sony SLR from WALES! We will always help you to have a 100% positive happy buying experience. Unique eye piece adapts to most view finders. Protects from dust and wet weather. Hard plastic pad protect the bag bottom. Hama Tripod Bags. Colour: Black . Weight: 200 g .
It features an ergonomic harness system which includes a chest strap and a rain cover for extra protection against bad weather conditions. The first main photo will show everything that is included in the sale and what you can expect. Neewer 31"x7"x8"/80x18x20cm Padded Carrying Bag with Strap for Manfrotto,Sirui,Vanguard,Ravelli and Dolica Series Stands and Other Universal Light Stands, Boom Stand and Tripod(YKK Zipper). 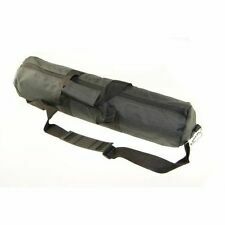 Neewer 31"/80CM Padded Carrying Bag for Light Stands, Boom Stand and Tripod. Neewer 30″x10″x10″/77cmx. The durable Lighting kit bag is ideal for Photography or Video. Make sure this fits. by entering your model number.Large Size: 30"x10"x10"/77cmx25cmx25cm. Exterior handles and a clamshell-style opening make this pouch a delight to hold and access. External zip pocket has a cable pass-through for easy device charging. The 200D recycled nylon canvas shell is weatherproof and aesthetically clean. NOTE: Considering the different requirement of boarding luggage, please check the size before purchasing. Camera, Lenses and other accessories are NOT included. Description: convertible rolling camera backpack helps to store and transport most of your camera gear with exceptional ease and convenience, which will be a premium travel companion of you. Great as a carrying case for lamp tripod / photography. 1 x Tripod Bag. Attached carrying strap handles. With foam paded interior, quick release buckles and fast access hook. Colour : Black. Has zipped interior pocket. 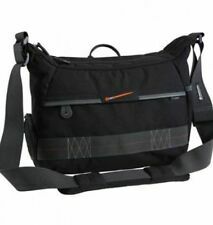 This is a used, but like new lowepro sling. Hidden Passport Pocket on Front Flap. All-Weather Cover Included. Large Size: Studio 90cm bag 35" x 10" x 10" / 90cm x 26cm x 26cm. 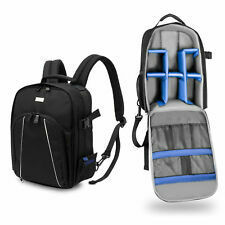 This is a lightweight design photo video studio kit carrying bag. Material: Oxford. It's very good quality. The VEO 37 fits a DSLR with lens attached, 1-2 lenses, a flash, essential accessories, an 11" laptop and a VEO tripod or monopod inside the bag. Neewer Photo Studio Equipment Trolley Carry Bag 30"x11"x11"/77x28x27cm with Straps Padded Compartment Wheel, Handle for Light Stand, Tripod, Strobe Light, Umbrella, Photo Studio and Other Accessories Features Enough room provided for you to transport and store your photography equipment. Plastic base plate is stronger and not easy to become damp and mildewed. Max load is up to 50kg Large size to fit your lighting studio photography equipment. Both lights and tripods. Size: 30.3"x11"x10. Attach your compact tripod to the exterior side strap, tucking one end into the exterior side pocket for added protection. Perfect for DSLR/CSC with kit lens plus 2 lens and accessories. 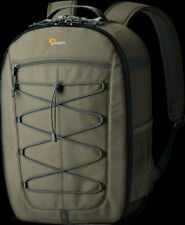 Lowepro Flipside 500 AW II Camera Backpack Mica & Pixel Camo. Condition is brand New with tags. Dispatched with Royal Mail 1st Class. Splash-proof Nylon outer and waterproof rain cover keep water away. The inner can be reorganized. There are dozens of pockets for keeping photographic accessories organized. With bottom tie for carrying tripod. Note: The empty carrying bag only. Light heads and light stands are not included. It is necessarily important for photographers to have a carrying case for their photography facilities. Ending Soon. I bought this a couple of months ago, but have quickly found out it is too small for my needs. Camera tripods are a common accessory for any photographer. When you invest in good, high-quality equipment such as lightweight carbon fibre tripods, or smooth pan tripod heads, it is a good idea to take care of your investments with camera tripod cases, bags and covers. 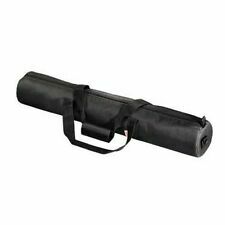 A tripod case will help to protect your tripod so that it will last for a long time without suffering damage. There are many different types of camera tripod cases, bags and covers that will have different uses so that you can find one that is suitable to your needs. There is a huge range of choice as bag technology has progressed and cases, bags and covers not only hold your tripod but offer a multitude of other benefits too. As well as the many different brands of camera tripod cases, bags and covers available there are also many different types of tripod protection from backpacks , shoulder bags, hard cases and rain covers. With so many products and features available, it is important to find the right bag for your needs. 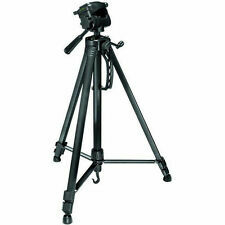 When looking for a new tripod holder, it is important to consider the features that you are looking for. If you are buying a case so that it's comfortable to carry and transport, consider a lightweight, padded case that has the right straps for your preferred carrying system. Whether you like shoulder bags or backpacks you may also need to think about whether you need room or pockets for additional items that you carry with your tripod, such as storage compartments for tripod heads. For having your tripod on the go, you may consider a pouch or waist belt; this gives you the option of being hands-free and being held at your waist means it is easy to set up without taking rucksacks or other bags off. Having a waist belt also helps to transfer the weight to your hips, which is an important factor if you are thinking of using it while travelling or hiking and need a heavy rucksack.